A popular choice is marmoleum. It comes in a variety of designs, colours, and styles. Sustainable wood – reused wood such as bamboo or cork. Ceramic tile opens up design options. You might be interested in getting salvaged stone kitchen counters. Recycled glass countertop, made from colourful glass implanted in cement, resin, or concrete. A counter made from recycled paper. You can reduce power usage by putting a dimmer switch on your lighting system. Compost; If you make your food waste into compost, it will reduce the amount of waste that goes to landfills and it can be used to make nutrient rich food for your garden. Recycle; Check with your local waste collection schedule based on your city or municipality. Try your best to put the proper recyclable packaging in the right place. Don’t use up too much energy; If you have things like your toaster, coffee maker or kettle plugged it at all times, plug them out. Use eco-friendly cleaning products; If you buy these products in store, they might be more expensive but you can make your own. Use lemon juice, baking soda, and vinegar to make an all-natural cleaning solution. Upgrade your appliances; If you have larger kitchen appliances, you might want to upgrade them to the newer version. Buy filtered water jugs or have a filter installed under your sink. Buy local; When purchasing fruits, vegetables and meats, try your best to buy local. At Avonlea, we can provide the following services: electrical, lighting, heating, radiator work, duct work, plumbing, flooring, cabinetry, trim, millwork, windows, doors, countertops, tiling, gas fitting, framing, insulation, soundproofing and drywalling. 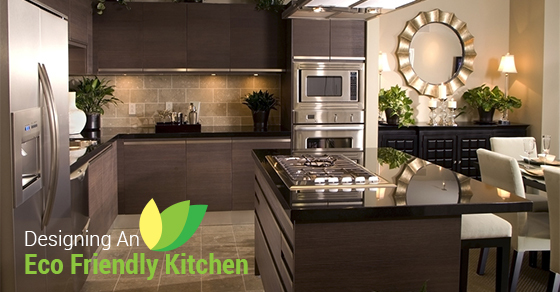 Call us today at (416) 422-5276 to design your kitchen!